Arkil Ltd has developed a high friction material for anti-skid applications. 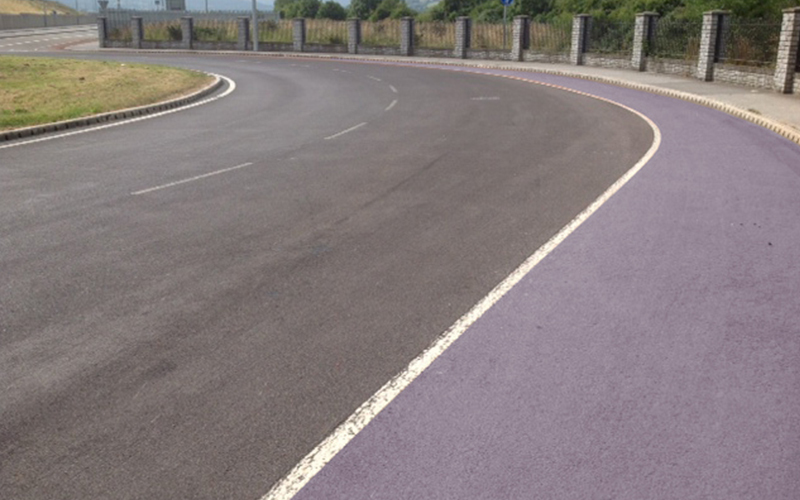 The product has been developed and tested under the guidelines for High Friction Surfacing (HFS) and is now in full production at its High Polished Stone Value (HPSV 72+) stone quarry in Lispole, Dingle, Co. Kerry. 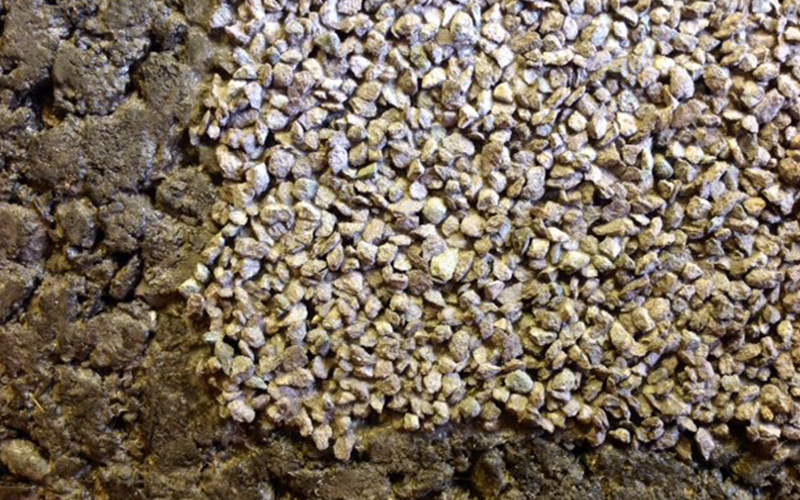 The PSV of the stone is 72+ which makes it comparable to the market standard calcined bauxite which is also 72+. Arkil Ltd has focused in on this rare stone quality and is marketing this new product as an alternative for HFS. Arkil Ltd is strategically located to supply UK/US and European markets also much lower carbon footprint in production and transport. HFS stands for High Friction Surfacing. Also known as anti-skid surfaces, these are pavement surface treatment systems that are composed of “tough” polish-resistant, abrasion-resistant aggregates bonded to the pavement surface using a resin. Although both “hot applied” and “cold applied” HFS processes have been used throughout the world. 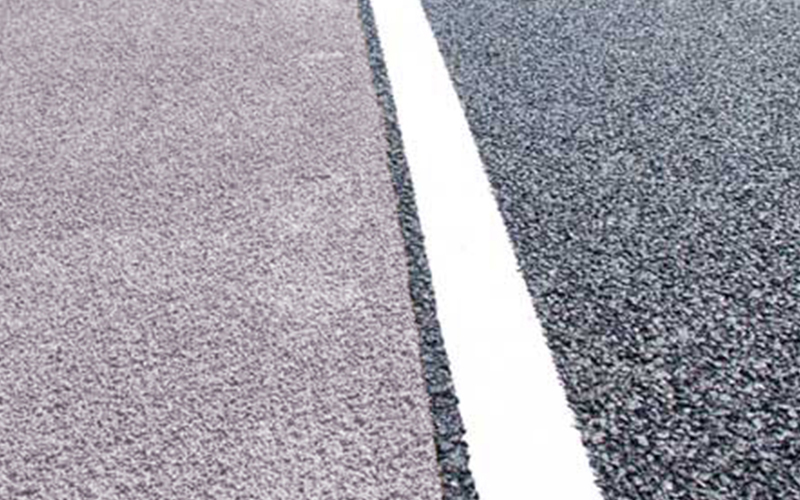 Cold applied HFS are the most commonly used in the U.S.
High friction surfaces are used primarily for restoring or enhancing the skid resistance of a pavement surface, but can also be used for lane delineation, bike paths, traffic calming or for decorative purposes. Our high friction surfacing has been tested for all the regular stone properties such as polished stone values, aggregate abrasion value, Los Angeles etc. and has also been subjected to the Wehner Schulze method of testing for skid resistant values of road surfacing in the Transportation Road Laboratory in France where it has performed very favourably with the competition. 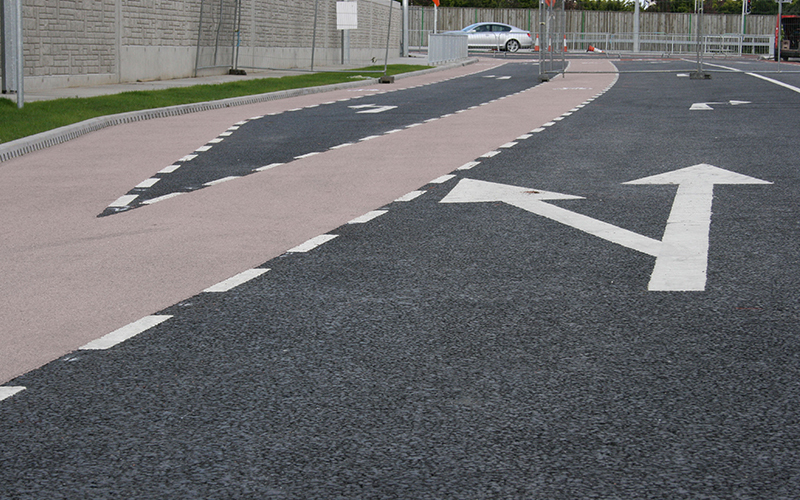 Our high friction surfacing can be used in various locations such as dangerous bends, pedestrian crossings, approaching roundabouts, school areas, high stress areas, slip roads to motorways, steep inclines and junctions. Further Advice on applications and uses can be obtained by contacting us where we will be happy to assist you with any technical advice or assistance. Arkil Ltd. has been certified by the NSAI to international standard ISO 14001 Environmental Management System, ISO 9001 Quality Management System & OHSAS 18001 Occupational, Health & Safety Management Certifications. Please visit the NSAI website for further information on the benefits of ISO 14001 Environmental & OHSAS 18001 Occupational, Health & Safety Management Certifications. Arkil Ltd is also certified by the NSAI to EN13108-21 Factory Production Control which is a European wide standard for the manufacture of Bituminous Materials. We are audited by the NSAI on an annual basis. Materials are sampled and tested to ensure conformity to the required specification in our onsite laboratories by our fully trained Laboratory Technicians.